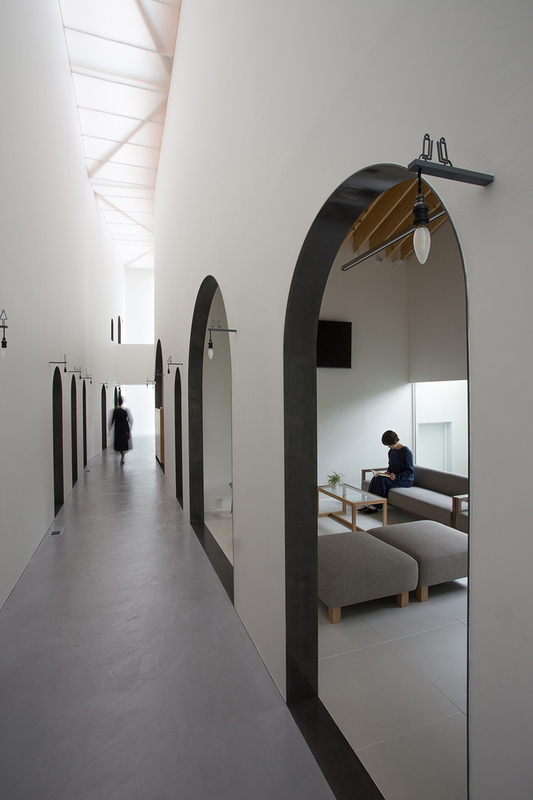 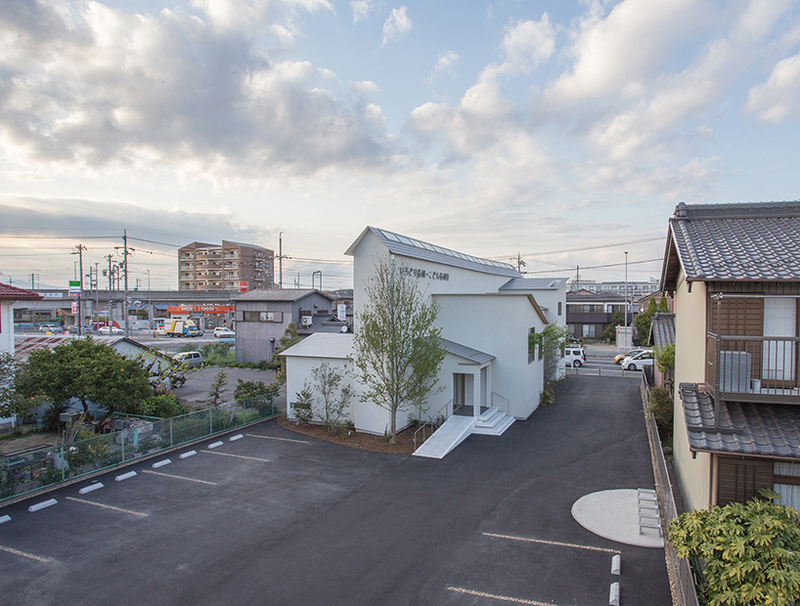 1-1 architects puts the experiential journey of the patient at the design core of NK dental clinic in aichi, japan. 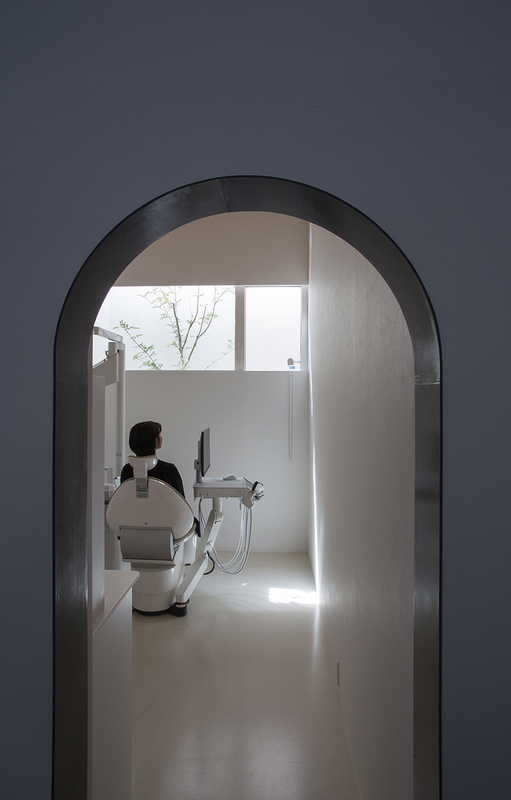 the clinic’s different rooms, including the reception, waiting areas, tooth brushing corners, and treatment rooms, are considered as destinations arranged on both sides of the building, and connected by a long, central aisle finished with a white ceiling that deceives human perception of its real height. 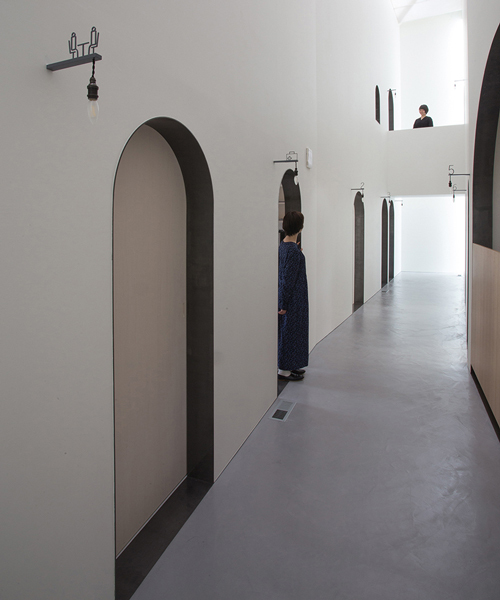 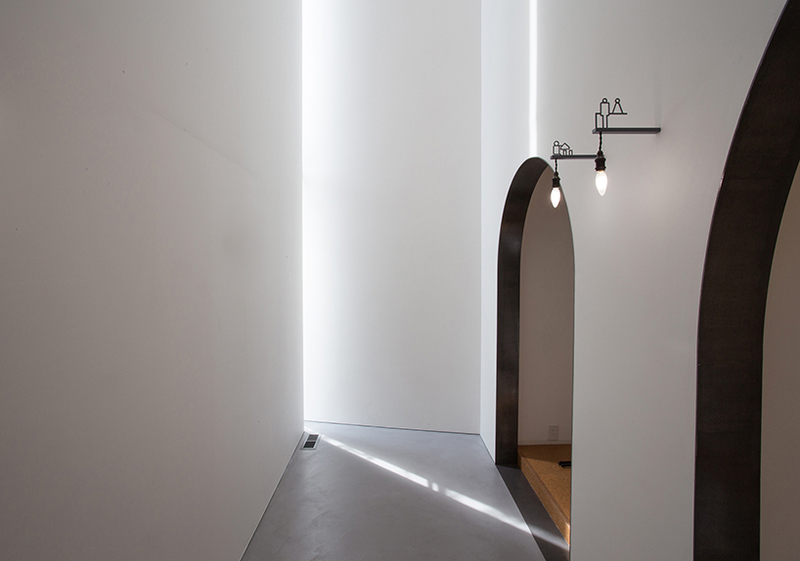 to prevent a sense of limitation caused by excessively privacy, 1-1 architects has treated the central aisle as an outside space, whose qualities change according to natural light entering the building through openings in the ceiling. 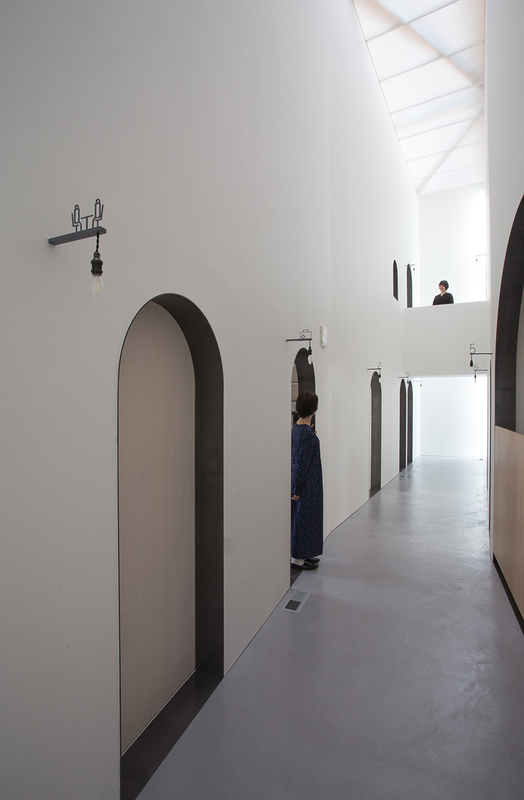 arch-shaped entrances to the different destinations make those who are in the aisle aware of accessibility to the rooms. 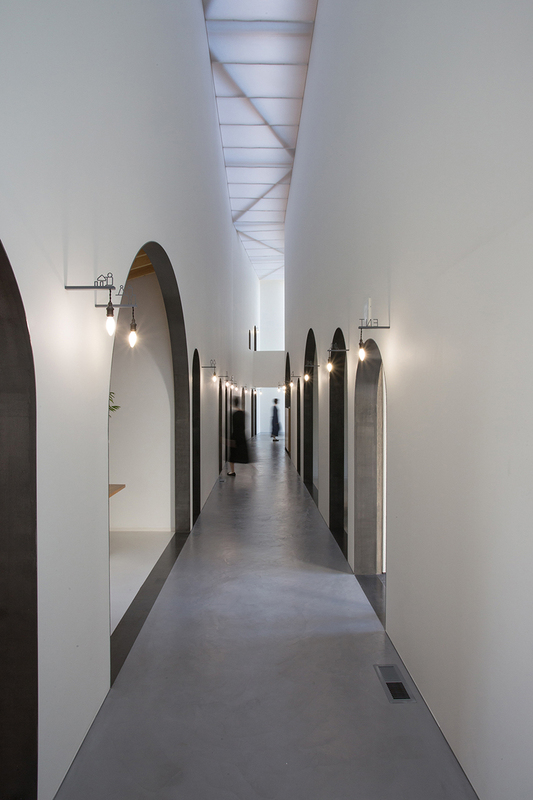 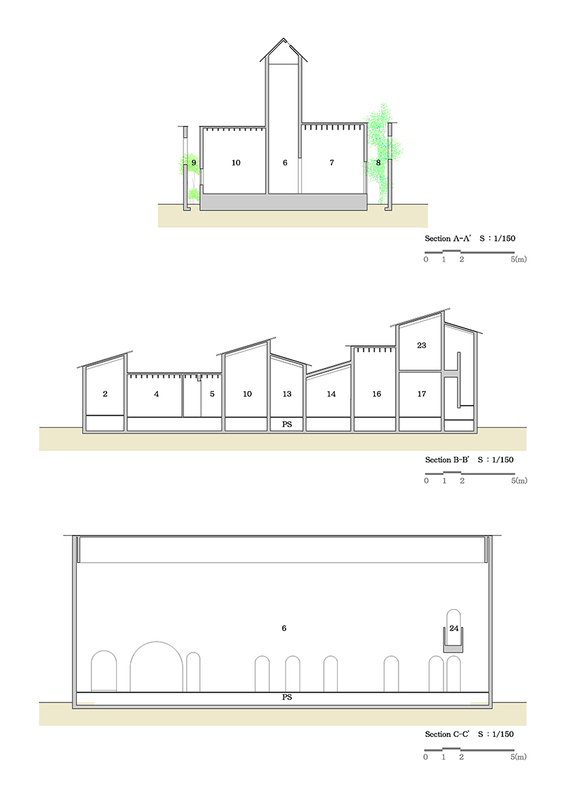 coated in metal, the arches create a sense of homogeneity in their repetition, and guarantee a directional understanding of the site in relation to the city. 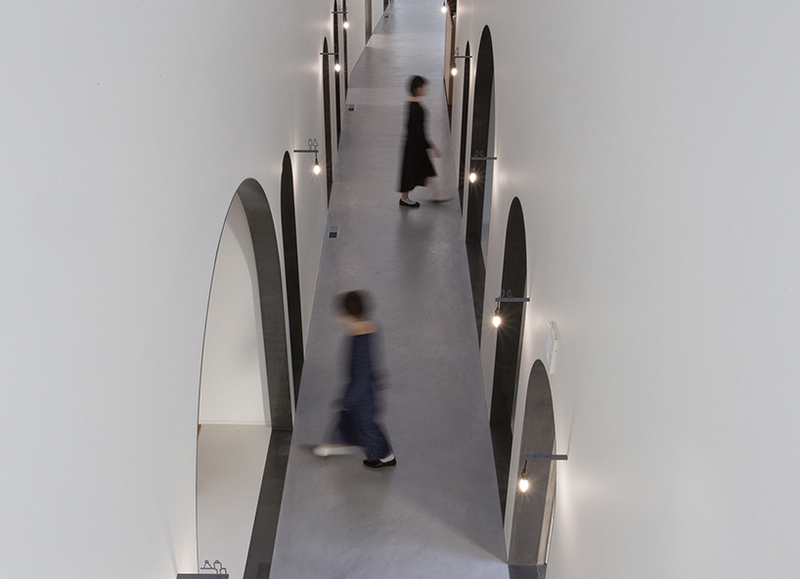 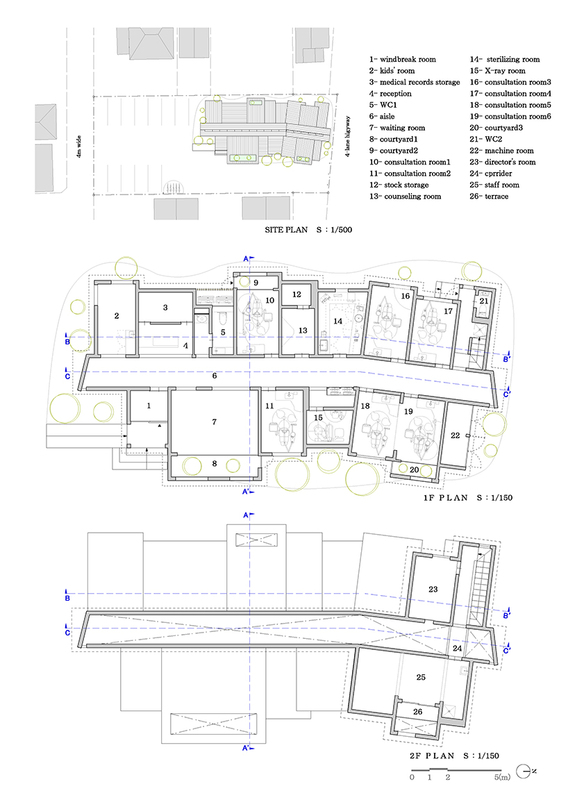 the volume and setting of each room in the clinic changes according to its use, while variations in plants, intensity of light and architecture create a change in perception for both patients and staff. 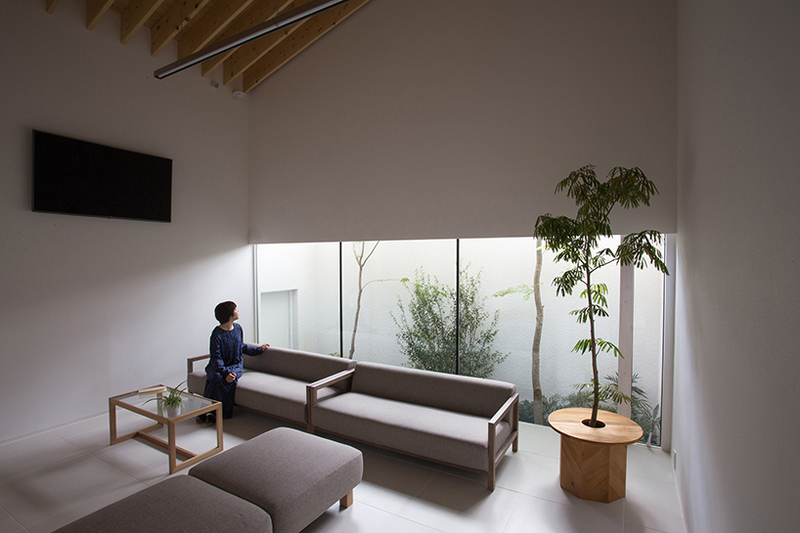 by positioning windows and plants differently between the inside and outside, a feeling of privacy is guaranteed, without losing the sense of openness of the outside. 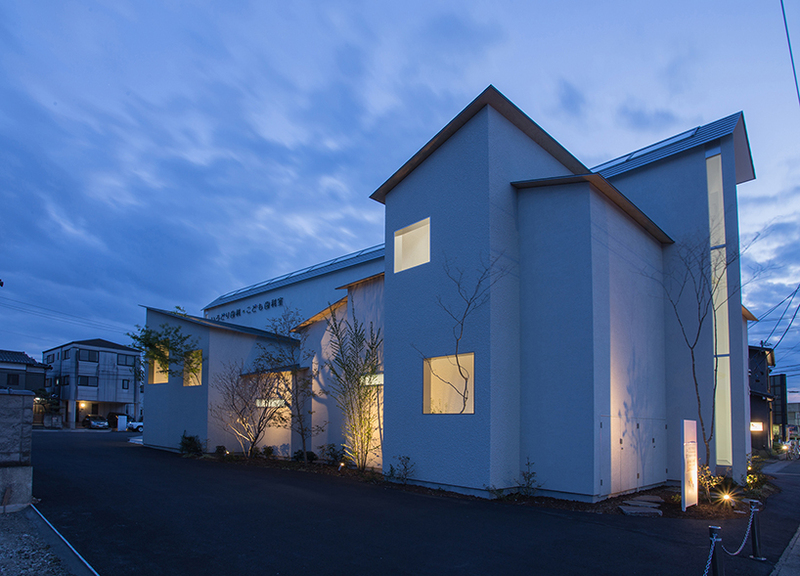 construction: marucho home co., ltd.